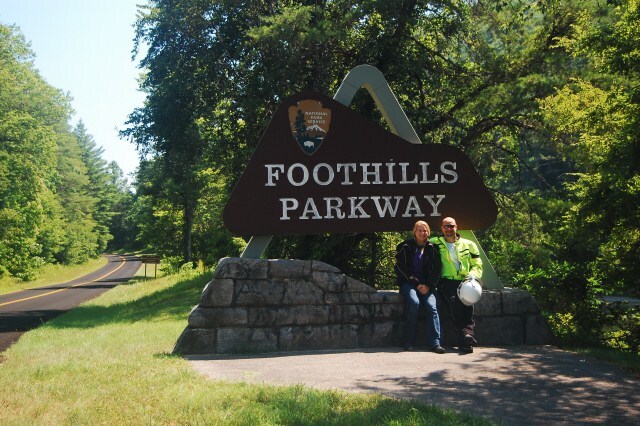 This July I had my most enjoyable motorcycle trip to date – riding in the mountains of Georgia, North Carolina and Tennessee with my daughter Courtney. Courtney has always enjoyed riding with me, so when she turned 16, she took the Rider’s Edge course taught by the local HD dealership. She scored the highest in the class on both the written exam and the on-bike exam. I knew that she was a natural and would progress quickly. Over the next two years, we had a few opportunities to ride together, but school and work mostly kept her away from home. This summer we decided to take the time to make our first road trip. My first bike was a Kawaski Vulcan 750 and I gave that to my oldest son when I got my Vulcan 2000. The 750 is a great starter bike – not too heavy, easy to handle, low seat and super reliable. Over the course of a few days we did a couple of local rides with me on my 2000 and Courtney on the 750 to help her get her “sea legs” back, and then took off for the mountains of GA, NC and TN on July 4th.